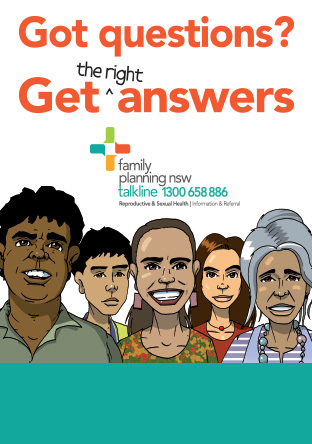 Family Planning NSW clinics are staffed by fully qualified doctors, nurses and receptionists. Family Planning NSW is committed to training post graduate doctors and nurses, therefore another doctor or nurse may be present during your consultation. Family Planning NSW is committed to delivering high quality reproductive and sexual health services to all members of the community. As Family Planning NSW is a not for profit organisation that relies on donations, self-generated income and government funding to provide services, we charge a low fee for our clinical services. Some exemptions apply. Please click here for more information about our fees. Family Planning NSW charge for prescription and non-prescription items. Prices are comparable to those charged by most pharmacies. Health Card holders are usually given a prescription for their local pharmacy to supply medications. Family Planning NSW clinics do not provide 24 hour care or home visits. If you require urgent care contact your nearest after hours medical centre, the emergency department of your local hospital or call 000 for an ambulance. Clinicians are available to give test results during the day. However, if no clinicians are available when you call, please leave your contact details with the receptionist and your call will be returned by the end of the working day. Urgent calls are given priority; however some calls may be referred to our information and referral telephone service Healthline. If you need pathology tests your Medicare card is required so the pathology tests can be bulk-billed. If you do not have a Medicare card please advise the doctor or nurse during the consultation. You will receive your Cervical Screening Test result by mail; this usually takes 3-4 weeks. You will only be contacted regarding other tests if the result if not normal. If necessary a follow-up visit will be organised by the doctor or nurse at the time of the call. Once viewed by the doctor x-ray films are to be kept by you. The x-ray report remains the property of Family Planning NSW and will be kept on your file. If it is necessary for you to return for a follow-up consultation you will be advised of this during the initial consultation. If you do not return for the follow-up visit you will be sent a reminder by mail or email. Your medical record is a confidential document and we are committed to maintaining this and meeting all legislative requirements. Your record is the property of Family Planning NSW and is kept for a minimum of seven years after your last visit. If you wish to see your file you can request access by contacting the Centre Manager. We value your comments and suggestions to monitor and improve our service. We also take your concerns, complaints and suggestions seriously. Please use the suggestion box in the waiting room to let us know how you feel about our service. Should you request a response, the Centre Manager will contact you within a week. Also, please feel free to raise any concerns you might have with the doctor or nurse during your consultation. Information on the Health Care Complaints Commission is available in our waiting room. View the Australian Charter of Healthcare Rights in English. Click here to access the Australian Charter of Healthcare Rights in audio, Braille, and 17 other community languages. Family Planning NSW is committed to the maintenance of best practice in infection control. Read our Statement on the Prevention of Healthcare-acquired Infection.